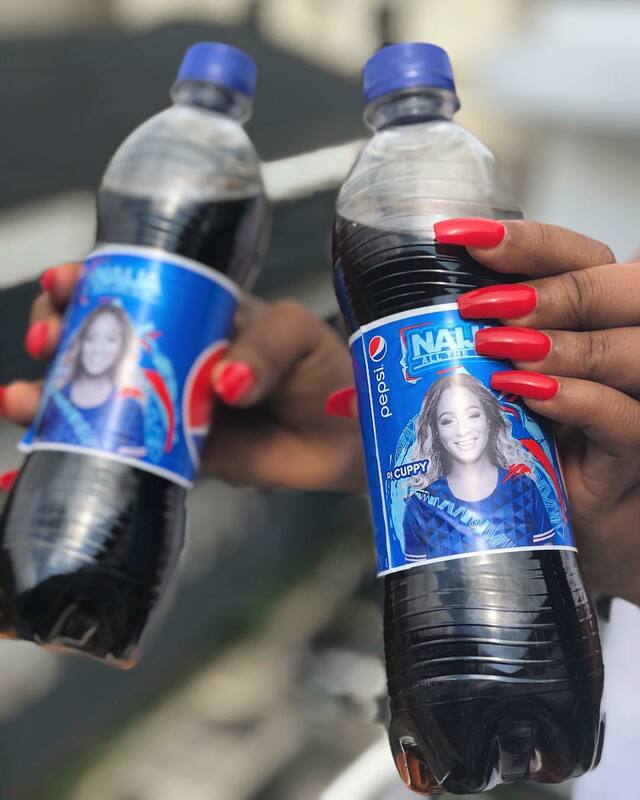 Florence Otedola popularly known as DJ Cuppy who is a brand ambassador for soft drink brand Pepsi took to her IG page to share this photo of her personalized Pepsi bottle which is available nationwide. "WOW! I have my own Pepsi bottles available nationwide! I don BLOW!"